We’ll send you a 10% discount code for your first order, right to your email! And don’t worry, we won’t spam you. Recommended by hundreds of happy mums!!! Choose between 9 different designs. Specially designed for newborns our baby bath towels are made of bamboo to take care of the special skin of our little ones and bring joy and fun to your bath time. Choose your favourite animal towel and make your newborn look the cutest while keeping him/her dry, fresh and kissable. We all know babies have very sensitive skin and therefore requires a little bit more attention. Towels are a necessity and you’re going to want to choose one that dries well but is gentle and free of chemicals, there's nothing worse than drying your eczema child's sensitive skin after a bath with a scratchy towel that will irritate their skin. We know first hand how frustrating and heartbreaking it is to try and help find the solution for your child's eczema and so, we've created this Exclusive Animal Collection. Our Mi Baloo towels are made of BAMBOO and specially designed for babies with sensitive skin. They are ABSORBENT, HYPOALLERGENIC, SOFT, EASY TO TAKE CARE OF AND CUTE… VERY CUTE! Our Fabric | The softness of our baby bath towels will leave you speechless! 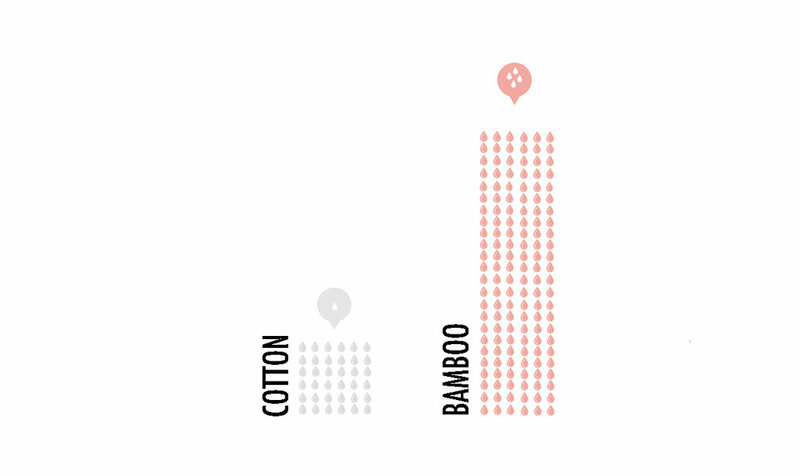 Our baby bath towels are made from BAMBOO sourced from their native origins. You may not be aware but Bamboo is a fast-growing resource, reaching maturity in just 5 years while using 1/3 less water to grow. It’s a self replenishing resource meaning that it doesn’t need replanting and is sustainable without the use of toxic pesticides. After months of research the team at Mi Baloo decided that Bamboo was our preferred choice of material being safe for the environment and more safe for your newborn. Bamboo adjusts to your newborn’s body temperature ensuring that your child wont over heat. Thermal regulating materials give you the peace of mind that when your child is out of the bath and playing with the hooded baby towel, they can do so and be safe. This means that the baby towels are Ideal for summertime use as well as winter time snuggles! Exceptional wicking properties evaporate sweat quickly to keep your newborn cool and comfortable in the heat. The #1 culprit that causes eczema to flare up. Our Animal Towels are Perfect for bath, beach or pool and are certain to give you a little extra help to keep a smile on their face even as they leave the water. Bamboo fibres are incredibly gentle. this means they are very unlikely to irritate your newborns skin. For mums that love to take extra care because of experience with eczema it can be very important to ensure you choose a material that is anti-bacterial. We at Mi Baloo have designed these towels as such for that very reason. To ensure you don’t cause any more pain if you have a beautiful newborn with sensitive skin and further more to increase the amount of fun to be had in and out of the bath water. ENSURE NO ADDITIONAL IRRITATION HAPPENS. And if your newborn’s skin is perfectly healthy, make sure it stays that way. SUPER SOFT FABRIC FOR SNUGGLING AND DRYING YOUR NEWBORN AFTER BATH. We all know what’s it like to use an old stiff towel straight out of the shower and how painful it can be. So why would we consider using anything but the softest materials available for your little angel especially when their skin is so sensitive. We hope you enjoy our towels and they make it easier than ever to protect your newborn's skin so it won't irritate. Ensure no additional irritation happens and give your newborn the royal treatment they deserve. The design of our hooded towels are exclusive. With one extra long side, we make sure you can wrap your newborn more efficiently after bath while making sure he/she stays dry and happy. 1. Open your Animal hooded towel. 2. Place your baby on top making sure his/her head fits the hood and his/her arms are close to his/her body. 3. Wrap the bottom of the baby hooded towel. 4.Wrap the one side of the animal towel and put it under your baby’s body. 5. Wrap the other side of the animal towel and put it under your baby’s other side.